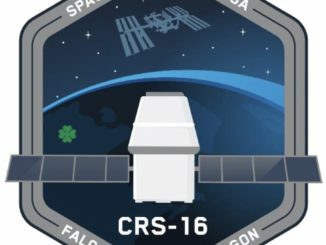 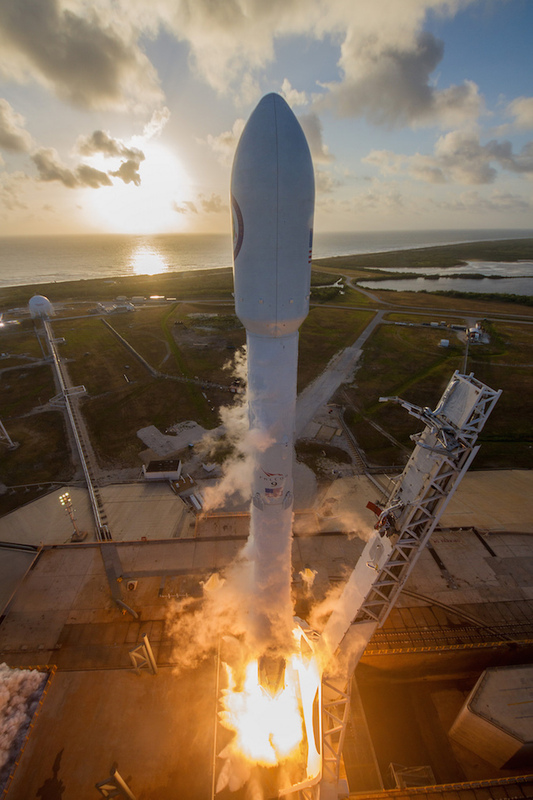 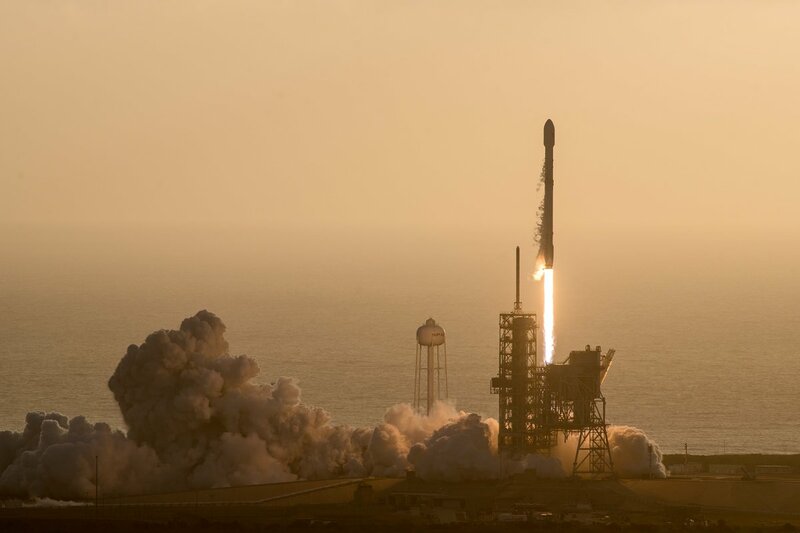 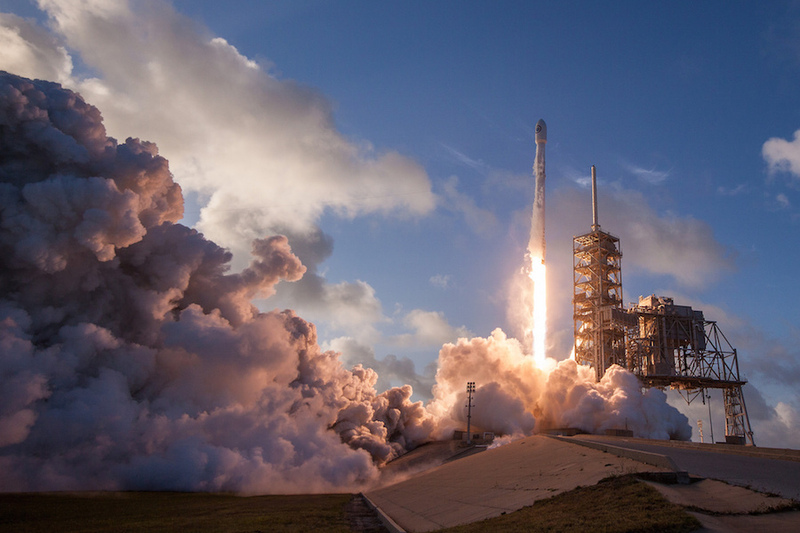 SpaceX started the week with the launch of a Falcon 9 rocket from NASA’s Kennedy Space Center in Florida just after sunrise Monday, delivering a classified U.S. government spy satellite to orbit as the booster’s first stage returned to Cape Canaveral for a vertical landing. 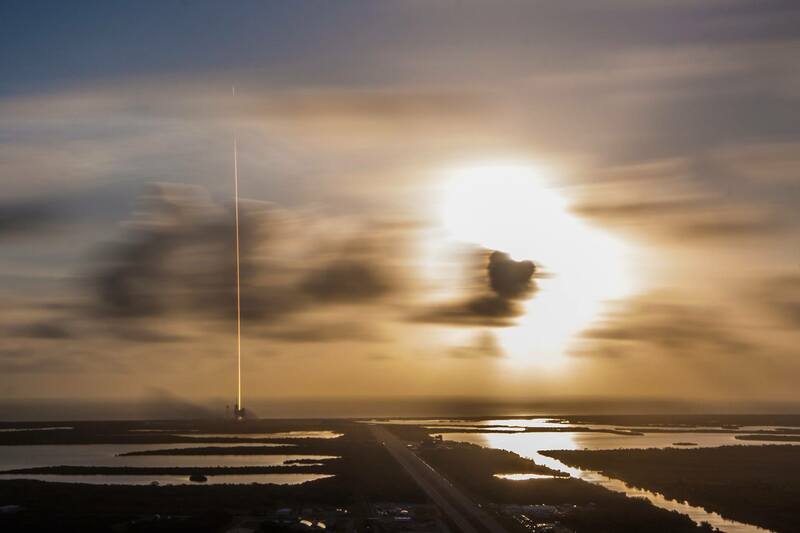 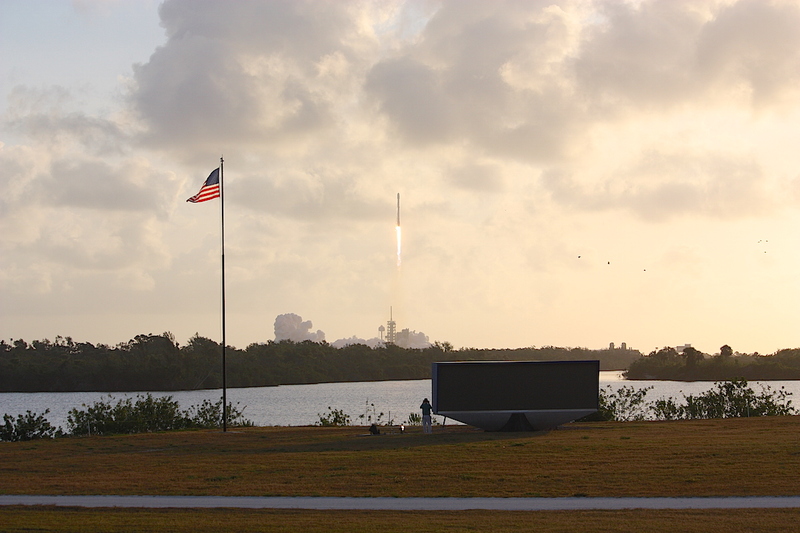 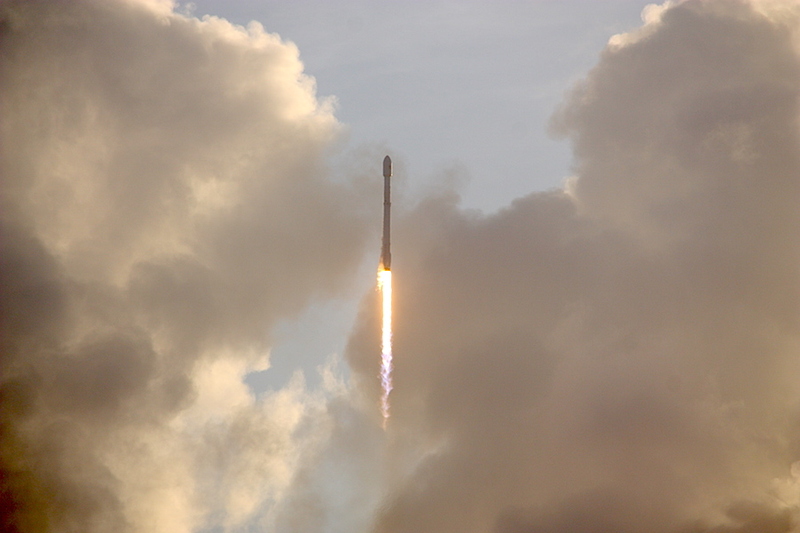 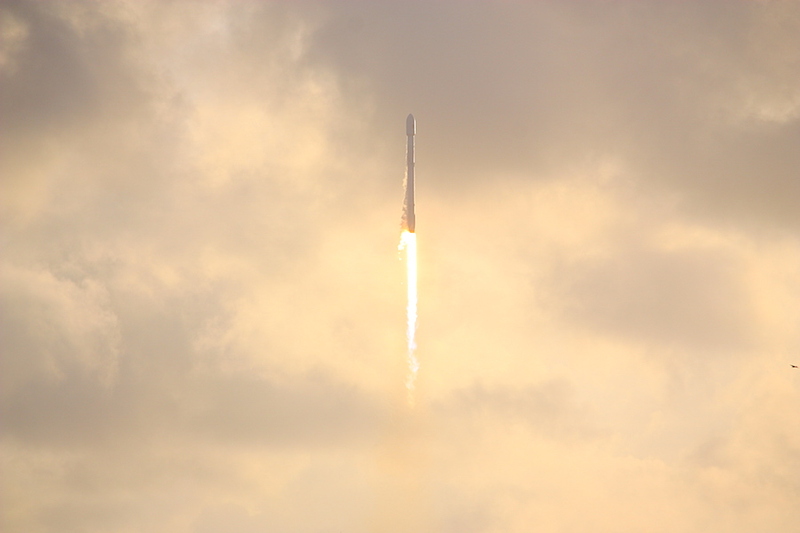 The nine-minute flight from launch to landing produced stunning imagery, showing the Falcon 9 soaring into the sky from pad 39A at 7:15 a.m. EDT (1115 GMT) Monday on top of 1.7 million pounds of thrust from its nine Merlin 1D engines. 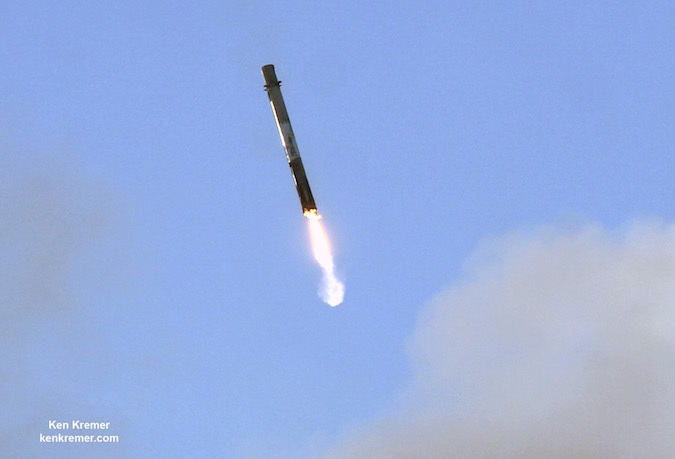 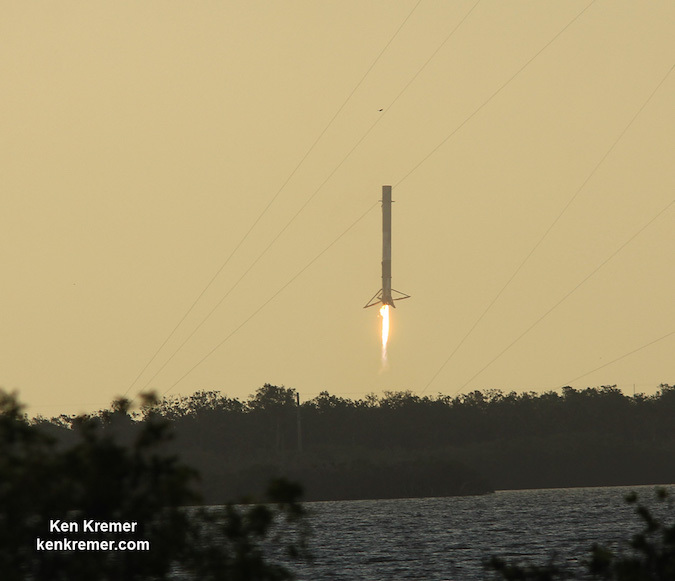 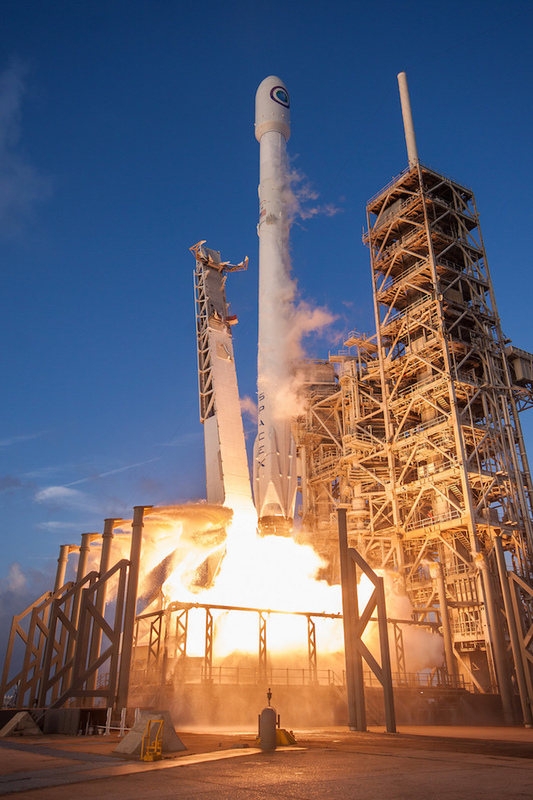 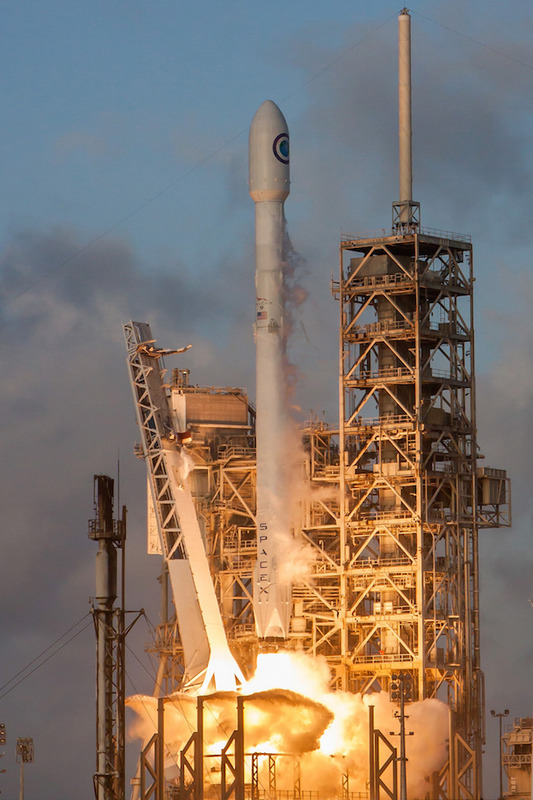 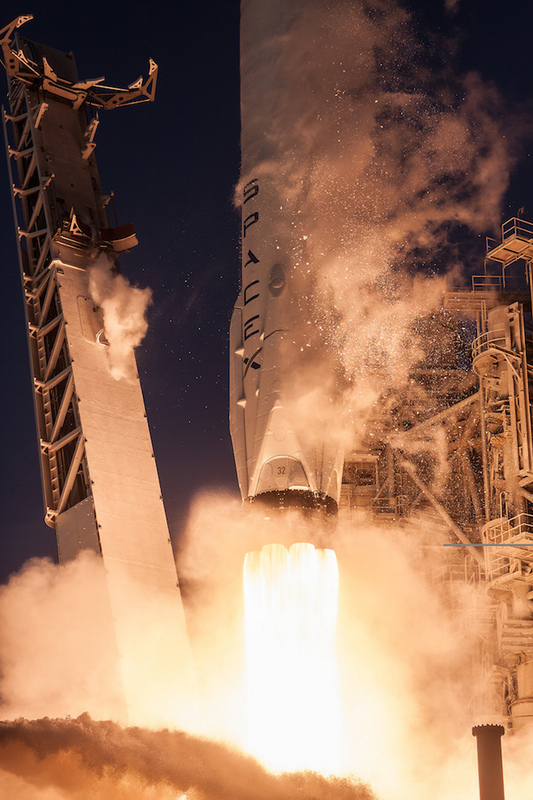 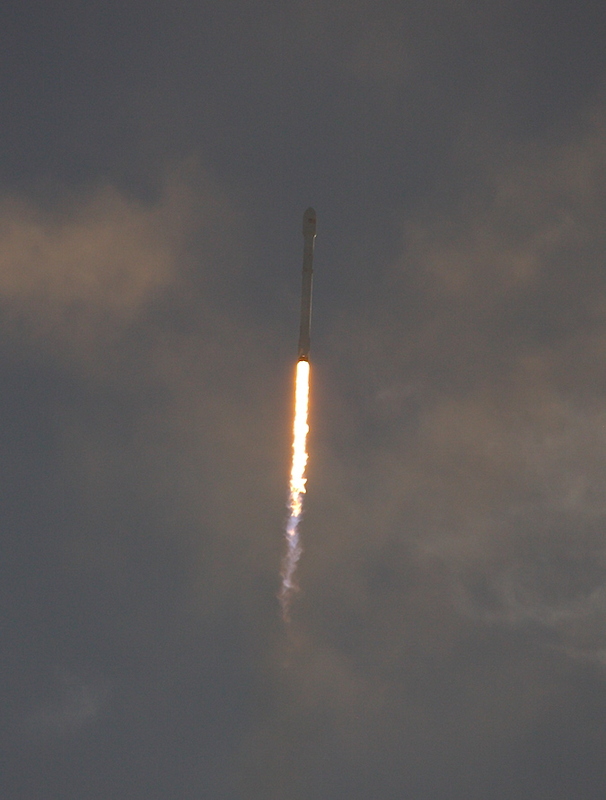 Three of the Merlin main engines reignited after the Falcon 9’s first stage let go from the second stage around two-and-a-half minutes after liftoff, beginning maneuvers to boost back toward the Florida coastline. 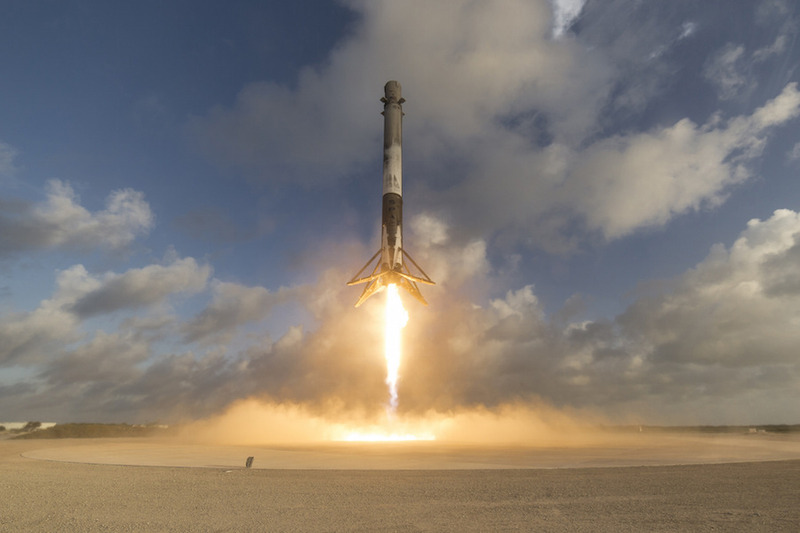 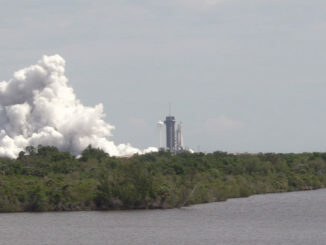 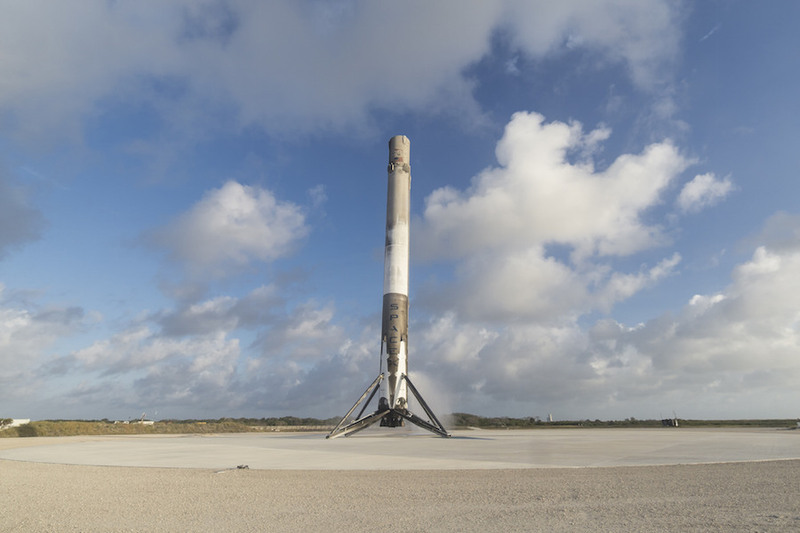 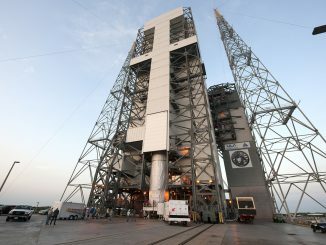 Three engines fired again for an entry burn to slow down the descent, then the center engine on the first stage ignited for a final burn as the rocket’s four landing legs extended for touchdown at Landing Zone 1. 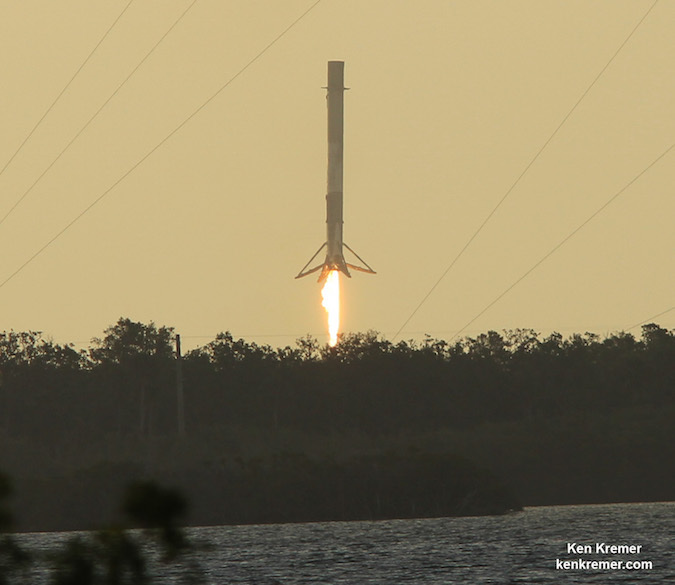 Read our full story for details on Monday’s mission.